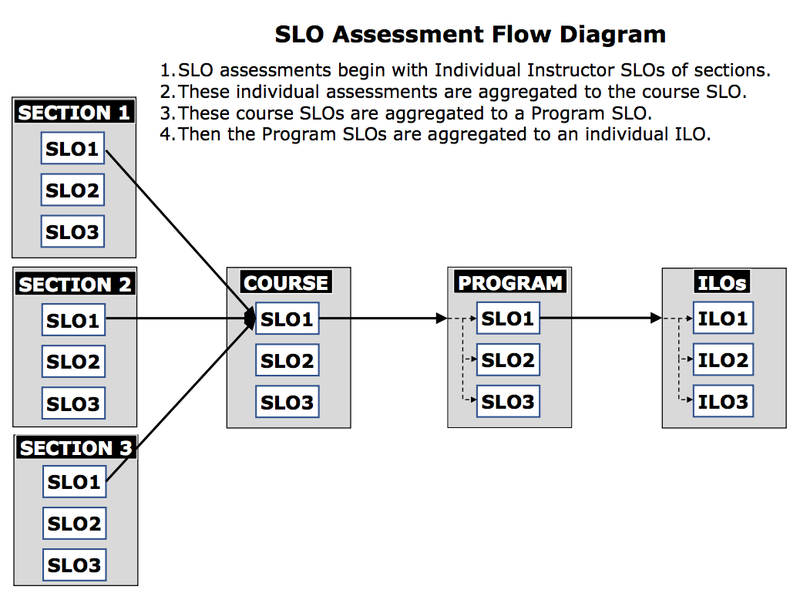 Student Learning Outcomes (SLOs) help Contra Costa College assess the quality of its instruction and support services by engaging each member of the community in a continuous cycle of data-gathering, reflection, and revision. SLOs are statements about the knowledge, skills, and/or dispositions that a student will have attained at the end of a course or a program. Administrative Unit Outcomes (AUOs) focus on the experiences, skills, or knowledge those served by the unit are expected to achieve through the unit’s services; thus, they are also based on the contributions the unit makes to the effective operation of the college. The SLO/AUO cycle engages faculty and staff in a process of setting clear, measurable outcomes, assessing the extent to which those outcomes are met, analyzing the results and designing interventions to improve the quality of our services.